The ‘Connecticut Shooter’ Adam Lanza has now been reported by mainstream media to indeed be taking the violence-linked anti-psychotic drug known as Fanapt, a prediction I made after the news of the shooting broke. And as I explained in my previous article regarding this drug by name, Fanapt has a very disturbing history of FDA testing and approval. It also has a long line of side effects that echo reports that drugs of this nature ultimately lead to suicidal behavior and increased overall aggression — side effects covered up by Big Pharma corporate scientists. As Business Insider now reports in an article that is going viral across the web, Adam Lanza was indeed taking Fanapt — a drug with ‘troubled history’ as the article details. Knowing that virtually every major shooter of similar circumstance and scenario had been on similar drugs including the Columbine shooters, Ted Kaczinski the Unabomber’, and many others, it was easy to see that Adam Lanza fit the bill as well. Of course this prediction was met with opposition stating that Big Pharma’s anti-psychotic and anti-depressant drugs were ‘perfectly safe’ and I was simply assuming things based on no evidence. Of course the reality is that the very creator of Prozac, Eli Lilly & Co., actually kept the link between suicidal behavior and Prozac consumption a secret to protect their own interests. This link was cleverly hidden for years until it broke back in 2005, yet still many are unaware of the real dangers. But what about Fanapt, the drug Lanza was taking? The drug itself has an even more troubled past. 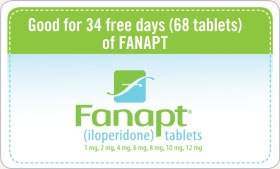 After initially being rejected by the FDA for ‘severe problems’ in patients, Fanapt was eventually approved after a disturbing lack of study. Fanapt was only tested on around 500 people before going on sale to the almost 300 million citizens inside the United States for widespread ‘treatment’. Many of which are listed as ‘frequent’. It should come as no surprise then to find out that Fanapt was initially thrown out by its first producer, grabbed by a later company, rejected by the FDA, then only later did it meet the mass market. Ultimately, however, it ended up prescribed to Adam Lanza and many other individuals who are being ‘treated’ for the very issues that the drug has been shown to cause. So why is hardly anything being said about Fanapt and the potential connection to the violent outbreak that thoroughly encompasses these side effects? Why is there no serious mention of how virtually all previous killers were on similar medications? The fact is that no one wants to talk about how Big Pharma’s concoctions are damaging our bodies and warping our minds. Instead, doctors will continue to prescribe Fanapt and other drugs to young children and teens without considering the severe repercussions. That is unless the alternative news and informed individuals pushes the issue into the forefront as has done many times before. There is no reason that drugs like Fanapt need to be pushed on young children who are already struggling with serious mental battles. Half of all United States citizens will be classified as ‘mentally ill’ and drugged up with antidepressants, anti-psychotics, and so on. But perhaps the Big Pharma drug system is truly mentally ill?